One great use for paving stones is to build a paver retaining wall. They are used primarily for landscaping in both residential and commercial applications. They have two primary functions. First, they serve an aesthetic end for home gardens and other landscaping and hardscaping projects. A paver patio retaining wall combined with a patio is a great way to mark off an area for friends and family to relax and enjoy. The second use is entirely functional and perhaps the most important reason: it protects dirt or fill from falling down slopes, especially during rain, and generally handles water drainage down slopes. Well-placed paver retaining walls can protect a patio, garden, or other installation from a dirty mudslide. Like all paving stone installations, walls last for many decades – even up to 100 years – though this depends on local conditions. Walls can be very tricky to install. While we give you some basic ideas below on how to install retaining wall systems, in general it’s best to leave this work to a competent professional, especially for high walls or for walls near sensitive areas. While there are many different materials that can be used for retaining walls, pavers retaining walls are becoming a popular option due to the variety of designs options and general ease of installation. Retaining wall pavers are available in many different colors, shapes, and sizes. You can use the same concrete pavers and paver colors for different projects around your yard, ensuring that there will be harmony and order around your yard. If you purchase the retaining wall systems, they are also quite easy to install, as they are often just paving blocks that need to be stacked together. Each brick in the set will have a specific purpose and can be installed more easily than having to use mortar to hold everything together. They are ‘interlocking’ just as interlocking pavers are in flatwork. When planning your paver retaining wall, determine its height first, as the height of the wall will have implications for the design and materials required. You may have to use fabric to manage water flows and other details of the installation, such as the stability of the soil. If you want to build a very tall retaining wall, a number of factors come into play, such as the stability of the soil, the slope, water content, etc. As with all projects, consulting with a contractor or paver manufacturer may be a good bet. This is especially true with retaining walls – these structures can be finicky, so you want to make sure to get it right. In addition, walls are often subject to particular rules and regulations of your local area. For instance, walls of certain heights must be designed and approved by an engineer before they are installed. Make sure to check with all the regulations of your local area before you proceed – it’s better to be safe than sorry. 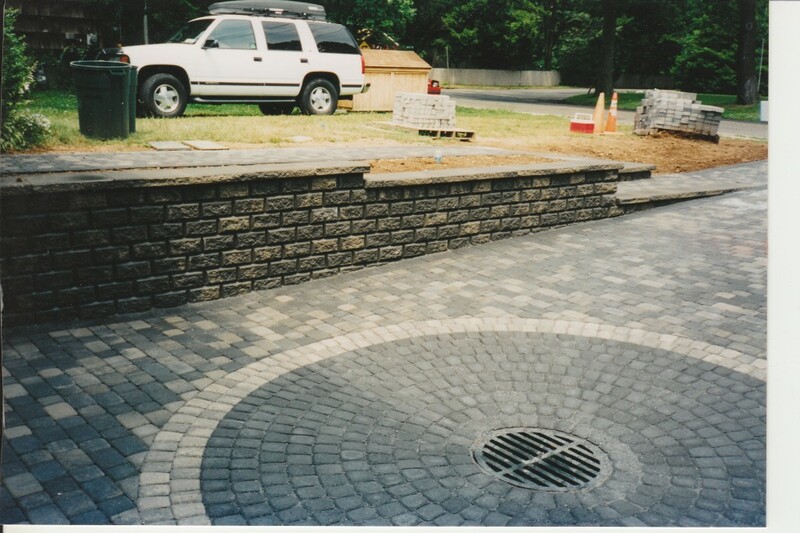 Like with other paving stone applications, retaining wall pavers can be laid in many different layouts and patterns. The pattern you select will depend on your tastes, your home’s theme, and any other paver installations nearby. One type of pattern is the “random” or “mosaic” layout. This layout features paving stones of different sizes, creating a natural, handcrafted look. Another pattern is the running bond pattern. In this patter, half of each retaining wall paver covers half of the one before it. One other pattern is the coursed pattern. In this layout, the brick are just laid out in simple rows. Installing a paver retaining wall will be easier if you use segmented brick. These brick fit together easily and stay together. When designing your wall, you may be able to add in curves depending on the particular layout and design of your setup. Before you install the brick, you need to dig a trench to the appropriate depth and width. The general rule is that the trench should be one inch deep for every eight inches of total height of the structure. You will need to add 5-7 inches to this depth for the aggregate base and sand. After digging the trench, make sure to compact the soil. Then add 4-6 inches of aggregate base and compact. Finally, pour a 1 inch bed of coarse sand. You will then need to compact one final time. Make sure the base is secure. Next lay the first course of brick, making sure to keep them straight. Backfill before moving on to the next course, and backfill more after each row is completed. Finally, put caps on the wall to put the final aesthetic and functional touch to your new retaining wall. All retaining walls should be filled in with backfill. About one foot of the backfill should be course stone; the rest can be fill. In addition, the wall should be slightly sloped into the backfill. This will increase the stability of the unit. Geogrid or other fabric may be needed for certain installations. You may also need to install drainage behind the wall to prevent any disasters. Consult with a professional if you have no experience in this area. Though this is some basic advice, you can still use it to install a wall if you are comfortable and familiar with the work. In general, though, stick with a licensed and insured contractor to make sure the job is done right the first time. One of the best things to do for your new outdoor project is to pair your retaining wall with other flat hardscape structures. For instance, a new patio with new walls is a great addition to any backyard. Installing walls around a pool deck is also a great idea. Most of the time, retaining walls will be installed for structural reasons. This can happen especially when you install a new hardscape or landscape project in your yard – the new structure may necessitate your installation of a new wall. Landscape pavers or garden pavers also benefit from the addition of a wall made from the same pavers. A good contractor will let you know when you will have to install a new retaining wall – some will avoid giving you this ‘bad news’ because they don’t want to scare you away from their bid. However, you may ‘pay’ for this down the line when there is a massive and messy failure in your yard. Thus, it pays to pay up front to help avoid disaster. 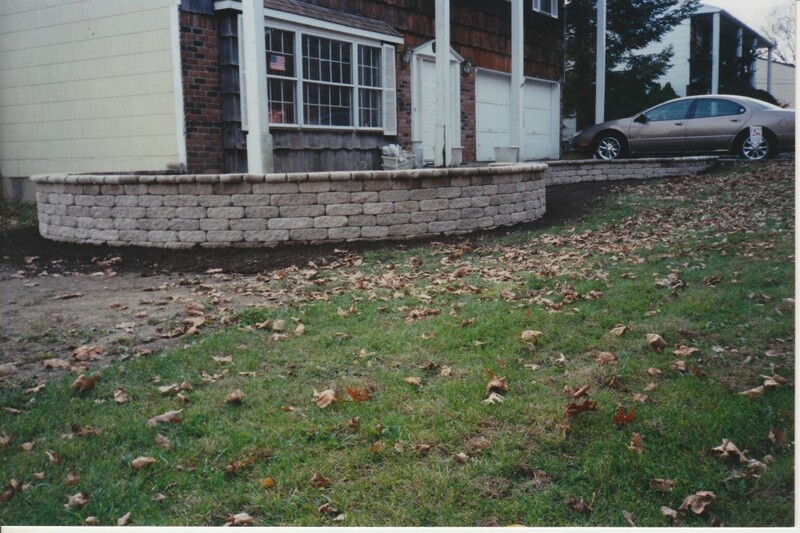 This entry was posted in Project Ideas and tagged paver patio retaining wall, paver retaining wall, paver retaining walls, projects, retaining walls by Will Grander. Bookmark the permalink.